Auto dealers have lots of ways to make the most off of every sale. Everything from interest rate markups and dealer add-ons to longer and longer loans can drive up the cost of buying a new car or truck. If you're not careful, you can wind up paying more to buy and finance a new car or truck than you really need to. That's a total waste of money for anyone trying to build financial security for themselves and their families. Look out for these 8 well-known tricks when you visit the showroom. Dealer trick 1. Preying on your lack of information. There's nothing a salesperson loves more than a clueless car shopper. You can't negotiate a fair price for a vehicle when you don't know what that price should be. Before taking off for the dealership, go to Edmunds.com and Kelley Blue Book to find the average transaction price for the car or truck you want to buy. Or add the Edmunds or Kelley app to your smartphone and punch in the model, trim level, equipment packages and other options listed on the window sticker for any car on the lot. Either way, you'll know what car buyers are actually paying for the ride you're considering, and it's usually hundreds, and often thousands, of dollars less than the suggested retail value posted on the window. You want to be the smart shopper who pays a little less than the average transaction price. Dealer trick 2. Making it all about the monthly payment. Salespeople often ask potential buyers what's the biggest monthly payment they can afford. With that number in hand, they'll calculate the most you can possibly spend and still hit that monthly payment by dragging out the loan for as long as possible. Then you'll be shown cars and trucks in that price range, which is often higher than what you wanted to spend, while you're reassured that a better ride is well within your budget. Let's say you came in to buy a compact sedan that cost about $20,000 but let slip that you could afford a payment of $450 a month. The salesperson immediately recognizes that a 60- or 72-month loan would allow you to buy a $25,000 midsize sedan while keeping your payment at about $450 a month — and that is what he or she will try to sell you. The bigger sticker price, and longer loan, both mean more money for the dealership. Use the 20/4/10 rule to see what you can really afford. It says you should put down at least 20% on a vehicle, finance it for no more than four years and not spend more than 10% of your monthly income on your auto expenses, including your note, maintenance and insurance. 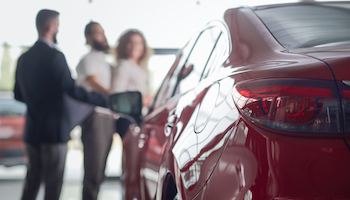 Here's how to put that rule to use before you go car shopping and come up with a purchase price that won't drain your checking account every month — and then stick to it. Dealer trick 3. Imposing finance charge markups. You've picked the car you want to buy, and now the finance manager is searching his computer for the best deal on a loan. But the dealership is not required to tell you the cheapest loan you've qualified for and can legally pad the interest rate with a couple percentage points for themselves. Let's say the bank or finance company says you're eligible for a 5% loan, but the finance manager tells you 7%. On a $22,000 five-year loan, that extra 2% will add an extra $1,277 to your payments. The lender is in cahoots with the dealer. It collects the extra money, keeps half for itself and sends the other half back to the dealer. While this is quite legal, the U.S. Justice Department and the Consumer Financial Protection Bureau have been investigating whether dealers and lenders are prone to discriminate against women and minorities by adding markups to their loans more often. Dealer trick 4. Making deceptive payoff promises. Let's say you're looking to buy a new car but still have a balance on your current car loan. To close the deal, a salesperson will often promise: "We'll pay off your loan no matter how much you owe." 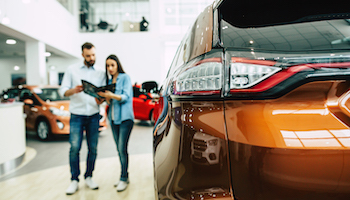 Most dealers will make up for that loss by charging more for your new ride, offering less on your trade-in and imposing a finance charge markup. But unscrupulous showrooms pay off your old loan, just as they promised, then secretly add that amount to your new loan. To get away with that, they're counting on you to focus on the monthly payment and ignore the total amount you're financing. Initially you might have been told that your monthly payment would be around $400, which is what it would be if you financed $20,000 over 60 months at 6%. When you sit down to sign the papers, the finance manager points to the monthly payment line and, sure enough, it's $397. What you don't see is that the dealer added that $4,000 payoff to the balance on your loan and financed that $24,000 over 72 months, committing you to pay on that car for an additional year. Dealer trick 5. Pushing you to lease. Some salespeople may steer you to leasing because it may get you a new vehicle at less than half the monthly payment it would cost to buy. The problem is, you'll still be making years of monthly payments — at the end of which you will own nothing. If you need to lease a car to "afford" it, you probably can't afford it in the first place. Read our story about why leasing is a bad deal. Dealer trick 6. Saying the deal is only good now. Salespeople love to pressure buyers for quick sales with things like "the deal is only good today." It's a common tactic to prevent you from checking other dealerships or having second thoughts. They're worried if you leave the lot, you won't come back. Chances are you'll get the same deal if you return. The one exception would be around the end of the month when incentives provided by the car companies — rebates and discount loans — often expire. 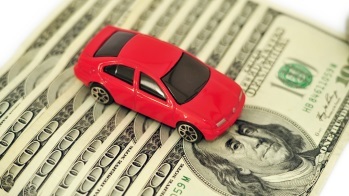 Click here to find all of the current automaker incentives and exactly how long they last. You don't want to make impulse decisions or be pressured on such a big purchase anyway. Don't be scared to sleep on it. Dealer trick 7. Trotting out the old bait-and-switch. You see an ad for a great price on a car you've been considering. Then you get to the showroom and find that's only for a stripped-down model, or trim level in auto lingo, which no one ever buys. The salesperson is sympathetic. When was the last time you saw a car with crank windows and no air-conditioning? Over the next hour, he or she shows you better-equipped versions. By the time you finally see the car you thought the ad was touting, you're paying $4,000 more. So ignore the prices you see in ads. Most dealers now have their inventories on their websites, allowing you to find the fully equipped model you're really interested in buying before leaving home. Take those VINs (vehicle identification numbers) or stock numbers with you to the showroom. Not only will you have a more realistic idea of how much the car you want really costs, it shows the salesperson you did some homework. Dealer trick 8. Selling worthless or overpriced dealer add-ons. Dealers boost their profits by selling all sorts of accessories, from roof racks to premium sound systems. Take a careful look at the cost. You can usually get the same thing for half price or less at electronics or auto parts stores. Be especially alert for surprise add-ons salespeople try to slip in as you're wrapping up the deal. VIN-etching is the latest add-on to avoid. Also, be on the lookout for paint protection, fabric protection, rust-proofing and car alarms.